(CNSNews.com) - The median annual earnings for Americans 25 and older who graduated from high school but did not attend college was $29,815, according to the Census Bureau’s latest estimate, which was derived from the bureau’s American Community Survey data for the five-year period from 2013 through 2017. 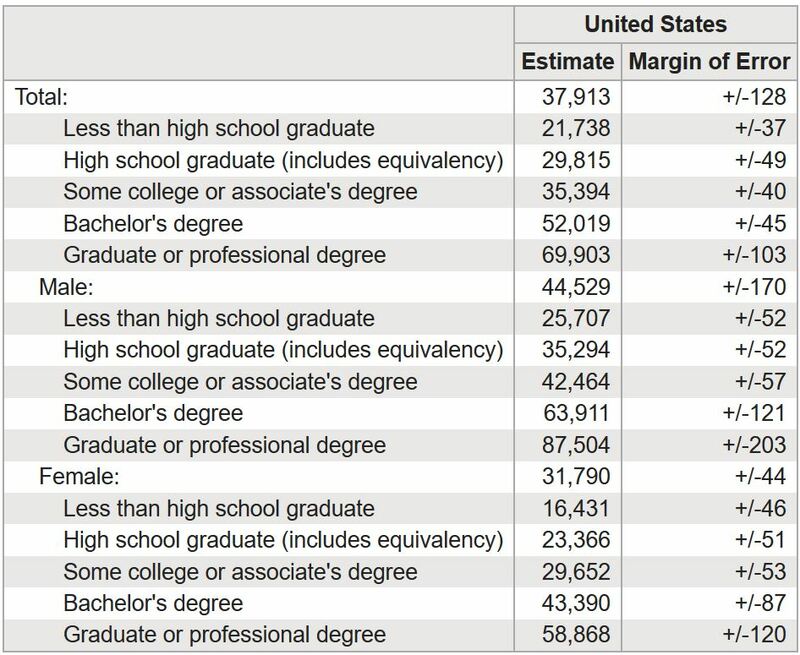 The median annual earnings for Americans 25 and older who graduated from college but did not complete any level of graduate school was $52,019. Thus, the median earnings for college graduates was $22,204—or 74.5 percent—greater than the median income for high school graduates. In fact, the Census Bureau's data indicates that the more school Americans complete, the higher the median annual earnings of their educational peer group. 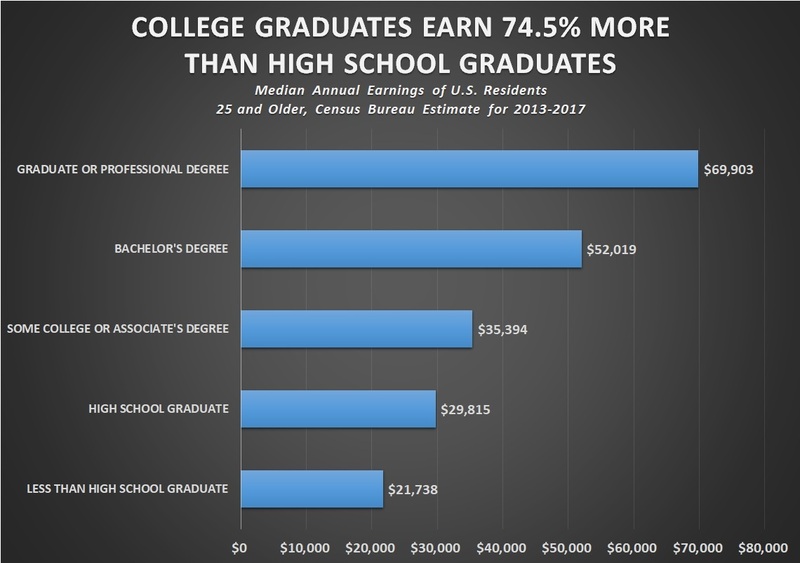 The median earnings of high school drop outs was $21,738, according to the Census Bureau. The median earnings for high school graduates was $29,815. The median earnings for those who attended some college or earned an associate’s degree was $35,394. The median earnings for those who earned a bachelor’s degree was $52,019. The median earnings for those who earned a graduate or professional degree was $69,903. The Census Bureau defines "earnings" as the "sum of wage or salary income and net income from self-employment." "Earnings," the bureau says, "represent the amount of income received regularly before deductions for personal income taxes, Social Security, bond purchases, union dues, Medicare deductions, etc."